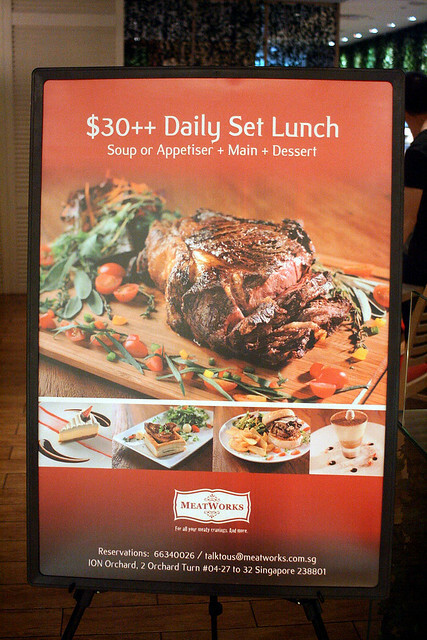 I'd heard about the "mid-priced steakhouse" Meatworks that launched some time ago at ION Orchard. We brought the family to check it out three weeks ago. It's up on the 4th floor together with the fine-dining eateries. 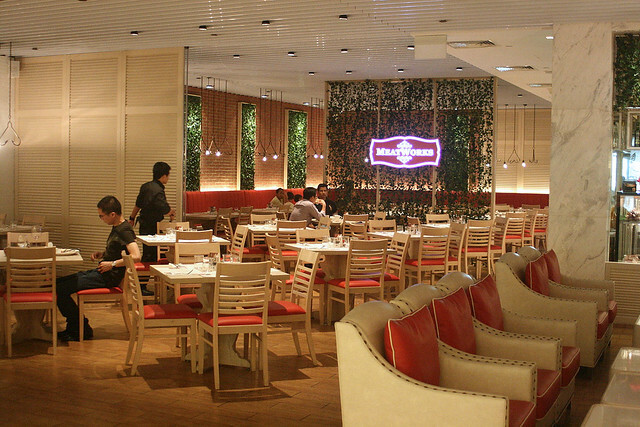 There is a restaurant side, and an open dining cafe-like area as well. From the address, it looks like the place takes up five shoplots! There's also a small deli section on the right side of the restaurant, with shrinkwrapped meat cuts for sale. Some might find the meathook decor a tad macabre, but it does make for some conversation. I can't help but remember that '80s Hong Kong martial arts movie where this badass villain is strung up on meathooks but is capable of superhuman destruction. Gotta love those movies. Anyway, we are for steak. But we started off with something healthy. 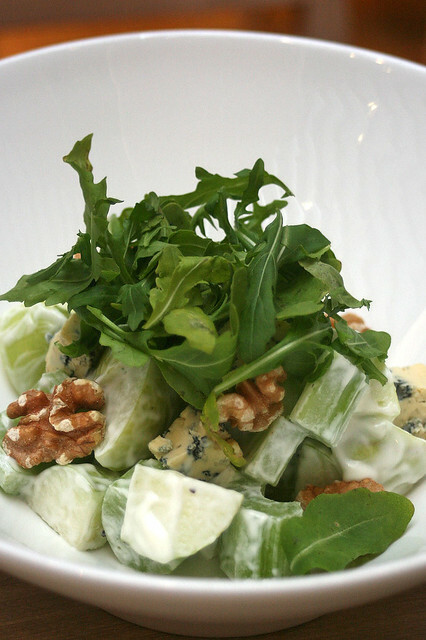 A Waldorf salad (about S$10-12) - crunchy green apple, arugula, celery, walnuts and Kikorangi blue cheese (the highlight for me). Quite decent. Sorry I lost the receipt, so all prices here are approximate, from memory. 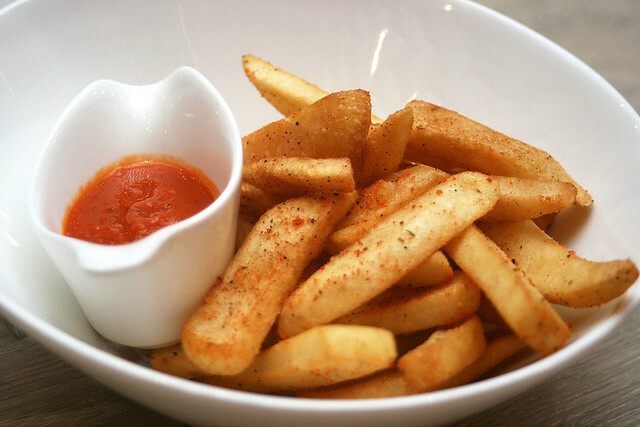 Extra fries (about S$5 or S$6) to keep the kids seated and happy. These were pretty good, even on their own without the tomato-based dip. There are quite a few choices of meat. 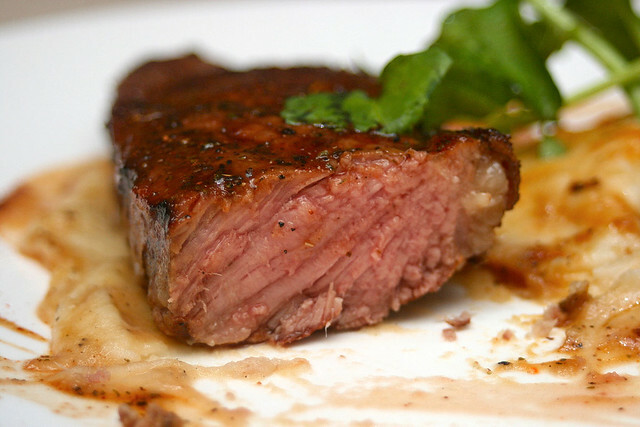 We took the 250g barley-fed striploin from Canada (about S$30). They recommend their hanging tender, medium rare, which is S$22 (I guess it's their best value offer). They are famous for having the Brontosaurus (1500g) cut to be shared by four persons. It takes an hour to prepare, and costs about S$100. 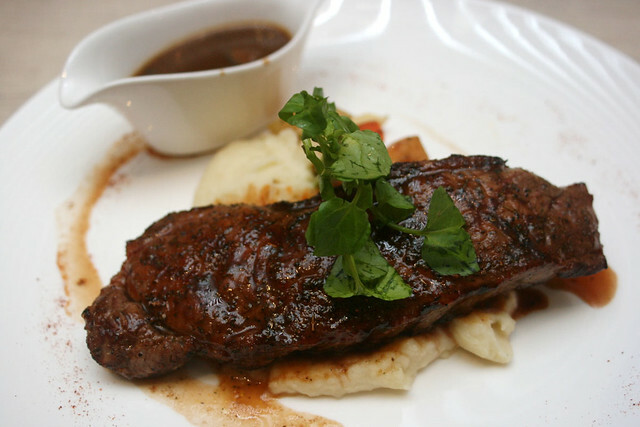 I also remember a wagyu striploin 250g (grass-fed) going for S$80. We were all quite happy with the steak. Nice meaty flavour and a satisfying chew. This is medium well. 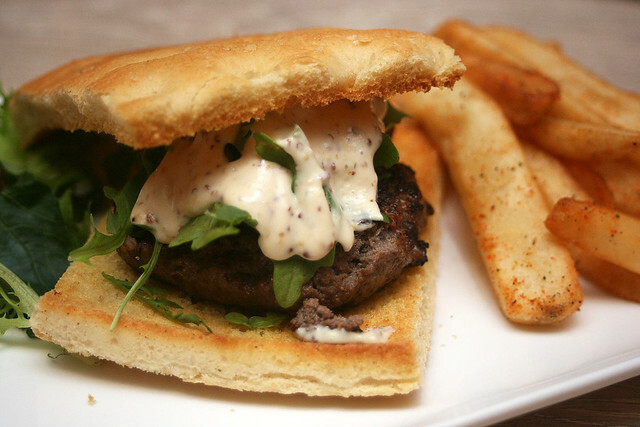 We also had a burger, the signature Meatworks Burger (about S$18), on ciabatta bread. This did not fare as well. The patty was a bit on the dry side. For the burger, they didn't ask how we wanted it done, so I guess this is their standard. 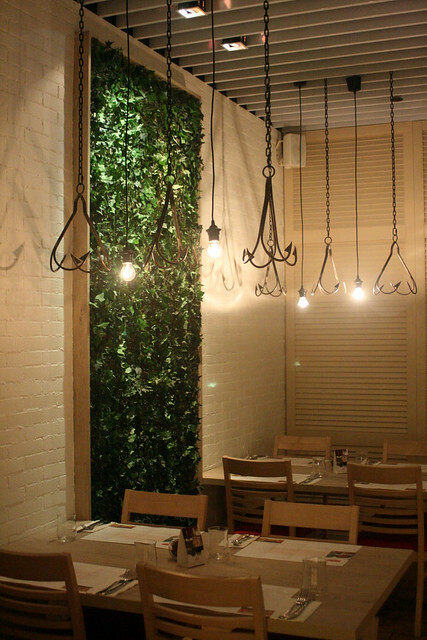 They also have seafood, chicken, lamb and even pastas on the menu for those who don't take beef. Their daily set lunch is S$30++ for three courses. Not quite a budget lunch, but can still be a good deal if portions are not "downsized" for the promotion. It was not crowded when we went for lunch, and service was all right. I read they had teething problems when they first began operating. We did have to wait a while for the food to arrive, but other than that, it was generally OK.
what an awesome place.. and bloody superb shots of the steak!